Hi, Good Afternoon. Thank you, friends and viewers. Today I will post how to make peanut tomato chutney recipe. Our day starts with a cup of coffee or tea, then will have sumptuous breakfast. It can be idli, dosa or upma or sometimes poori, pesarattu or pongal etc., Poori is served with potato curry, pesarattu with ginger or coconut chutney. Pongal can be served with simple coconut chutney. Idli tastes good with sambar and chutney. Dosa with curry and chutney. But with a busy and hectic schedules every day we may not be able to make all the specified accompaniments. But one chutney should be there to have with them. We need some modification in the daily chutney. Peanut tomato chutney is a simple variant in the peanut chutney. Tangy tomatoes and roasted peanuts added with chili give a spicy taste to the chutney. If we want we can reduce the spiciness. Dosa and idli are mild in taste so we need to have a spicy accompaniment. This chutney occupies the place. I served it with uthappam. 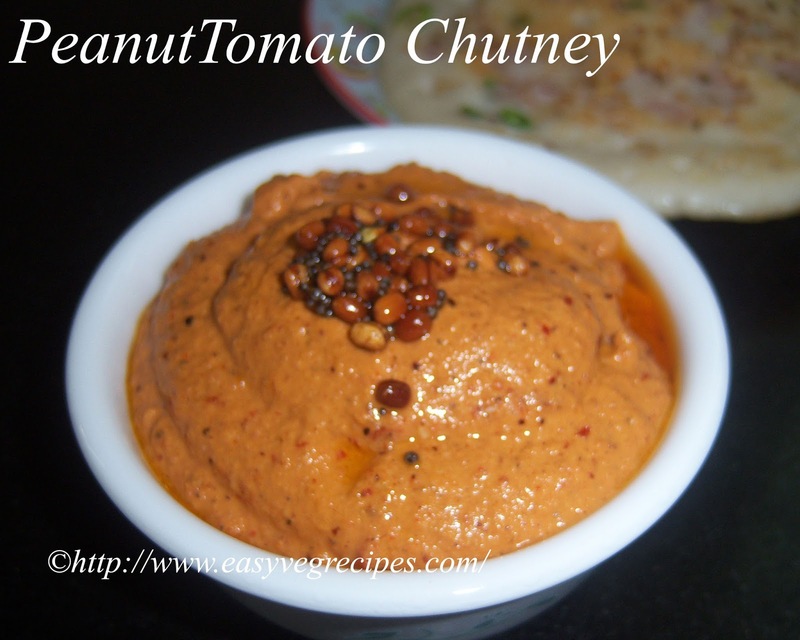 Peanut Tomato Chutney -- Best accompaniment for dosa or idli. Chop tomatoes, split green chillies. Heat pan, dry roast ppeanuts till the aroma comes out or they turn into brown colour. Roast them in low to medium flame. Do not burn them, otherwise the chutney tastes a bitter. Once they are fried, keep them aside. Heat oil in the same pan, add mustard seeds and black gram. Fry them till they splutter. Add red chillies and green chillies. Saute them for a while and switch off the flame. Keep it aside. Again heat little oil in the same pan, add chopped tomatoes. Fry them till they become soft. In a blender jar add roasted peanuts, tomatoes, green chillies and red chillies and add salt to it. While adding chillies, separate mustard seeds and black gram. Do not add them to the chutney. Temper it with the left over seasoning. 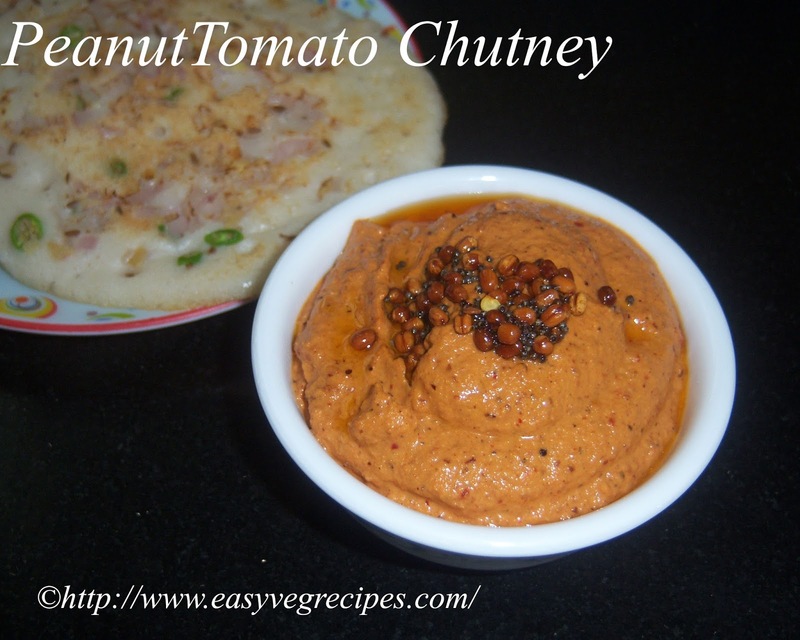 Serve peanut tomato chutney with dosa or idli.